Sacovitta has combined an adhesive closure with a plastic interior to keep fresh food at its optimum state of preservation. Sacovitta: keeps food fresh for longer (over 8 days). Food safety and hygiene: Prevents food from spilling liquid during transport and from being exposed without protection. Storage: Extends the life of cooked and raw meat products, cheese and delicatessen products to over 8 days. Tested by the National Centre for Food Technology and Safety (Centro Nacional de Tecnología y Seguridad Alimentaria, CNTA – Ebro Laboratory), a reference in food technology and safety. Freezing: Food can be frozen immediately. The horizontal arrangement keeps your freezer tidy and well-ordered, and allows for quick freezing and thawing. Practicality: The paper side means dates and notes can be written on the back, while the clear plastic side makes it easier to identify the contents of each bag; and the adhesive closure means the bag can be opened and closed a number of times. Versatility: Ideal for storing and transporting all kinds of food meat, fish, cooked meats, cheese, fruits, snacks and vegetables. 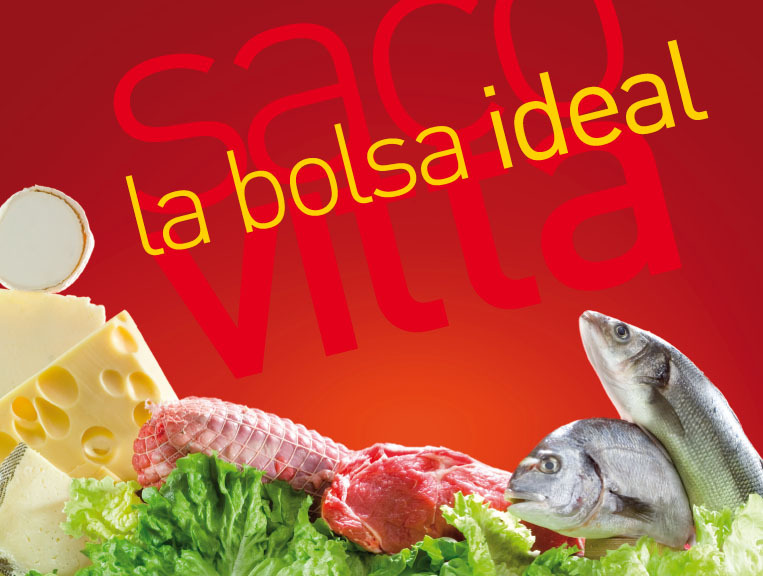 Sacovitta was developed in collaboration with the National Centre for Food Technology – Ebro Laboratories.